It is almost time for World Premiere of Domino V10! Watch the launch live from Frankfurt on October 9 at 10:15 CEST via facebook or join us at the UK Premiere of Domino 10 in London on the 10th. BCC will be presenting our Domino 10 ready products and our own Tim Clark will be on stage as part of a panel discussion. We willl showcase how DominoProtect can monitor access to your data and prevent unauthorised data access even for people who have full admin rights. 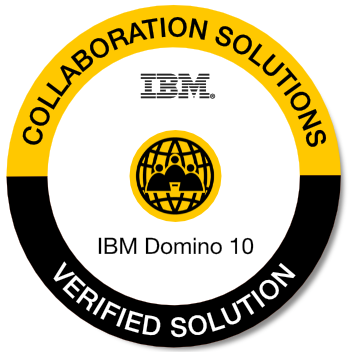 Simplify your system management and add an essential extra layer of security to the IBM Domino environment. Come and have a look how AdminTool provides procedures to grant and control access rights to your data and how it handles the demand for the right to be forgotten for GDPR purposes. Identity management made simple - no matter where the accounts are stored Domino, Cloud or 3rd party applications. ClientGenie centrally manages all Notes client elements. Standardise client configurations reduce administration overhead and increase employee productivity. With the free ClientGenie Basic version, you can centralize and standardise the update of all Notes clients to version 10. We hope you are able to join us on the 10 October, 2018 - Don’t worry if you can’t make it, just get in touch and we can talk.